“Dear landlord, please don’t put a price on my soul…” Bob Dylan’s paean to unreasonable rent control may have been deeply steeped in metaphor but it’s a sentiment that every renter can relate to. If you don’t want to be the kind of landlord that troubadours bemoan melodically, my suggestion would be to download The Property, a rental property management app. 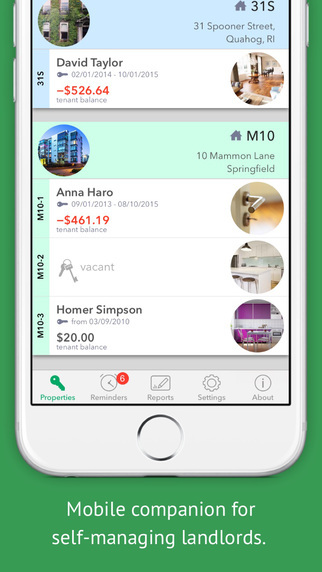 The app lets you create and send rental invoices to tenants, track rent payments and expenses, keep track of tenant balances and their payment history, you’ll be able to receive instant financial reports, it will highlight useful reminders for payments, expenses and invoices that are due as well as inform you of upcoming agreement renewals. The simple and straightforward layout is easy to understand, so even with hundreds of tenants on the books it’s easy to search, find and see where you stand with each and every one of them. The intuitive navigation menu allows you a stress free platform to keep track of all the odds and ends that may have otherwise fallen by the wayside. One element that I was particularly impressed with is the data backup in Dropbox feature – losing tenants’ details is the nightmare of all landlords, so it will be a constant relief to know that they are stored safely somewhere in cyberspace. To unlock the Personal edition, you can upgrade with a one-time in-app payment with no subscription fees. This upgrade will allow you an unlimited number of rental properties and tenants as well offering data export, backup and recovery so no information gets lost. 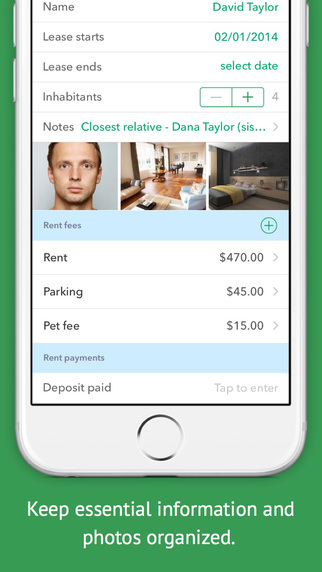 You’ll be able to customize rent invoices and payment receipts to share with tenants and gain the ability to add, disable or rename expense categories and payment types. Don’t leave your tenant papers blowing in the wind and become the landlord you were always meant to be. You can download this app from the App Store.